After all the hard work I put into planning a party, I don’t want my guests to walk into the kitchen and find a black trash bag hanging in the corner. 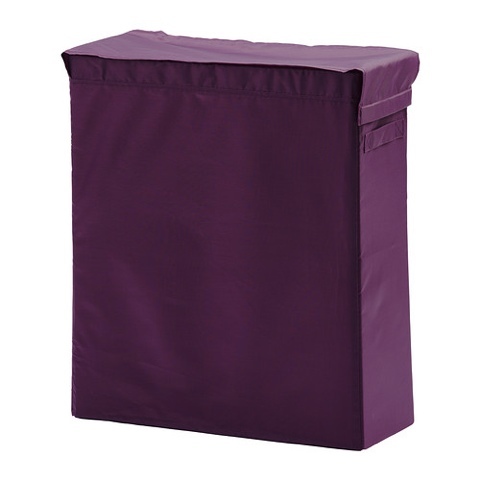 The solution: a collapsible laundry bag! The Subb laundry bag from Ikea for $8 was the perfect solution. It is easily collapsible and I store it in the empty space next to my refrigerator. 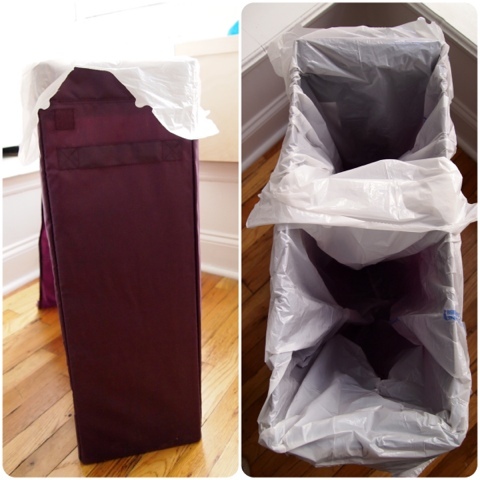 It fits two large trash bags (one for trash and the other for recycling). Taking inspiration from RealSimple take two magnets to secure bag on both sides.